We now accept all major credit and debit cards plus echecks and you can pay directly through our website or by email, or as before, through PayPal. Now Shopping Is Even Easier! The Conscious Living Foundation was created to encourage living with more awareness - to wake up to the joy and positive significance of each moment. Regardless of how you are able to interact with CLF, whether through our quotations and affirmations, newsletter, telecourses, free e-books, prayer and affirmation pages, email, videos or CDs; we encourage you to join us. It is our intention to provide products and services, at prices that are within reach of everyone - that will in practical, pragmatic ways serve you on your path to growth. The wisdom that we seek is already within us. All that is needed is the process of uncovering it. By joining the threads of our mutual wisdom, shared in a compassionate supportive way, deep positive growth is possible. To discover more about what CLF is, click Here. 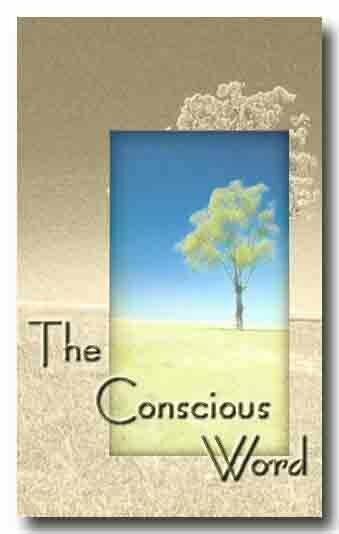 The Conscious Living Foundation offers a very wide collection of free E-Books, Audio, Video, Music and Pictures; all designed to aid you in your efforts at spiritual and personal growth. For more details, see our "Downloads" links to your left. In addition, we also offer a selection of products at very reasonable prices, created by us to inspire and encourage you regardless of your religion or creed. For more details, see our "Products" link to your left. 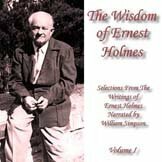 Wisdom of Ernest Holmes Vol. I: Selections From the writings and talks of Ernest Holmes in everyday language. Inspiring and clarifying! 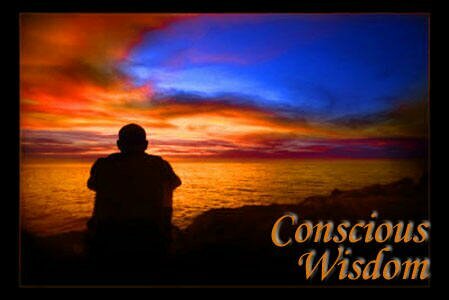 Conscious Wisdom: A daily email filled with inspiration and guidance; guaranteed to help change your life! CD - Creative Mind and Success by Ernest Holmes: "Man is just what he thinks himself to be... He will attract to himself, what he thinks most about. 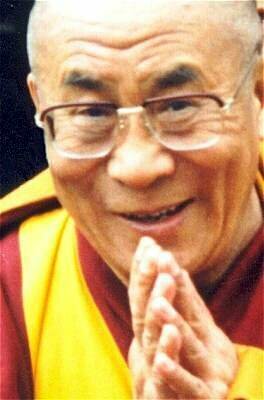 He can learn to govern his own destiny when he learns to control his thoughts." 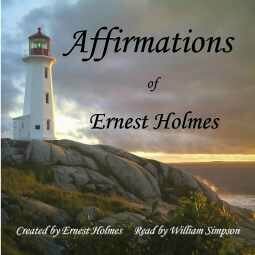 CD - The Affirmations of Ernest Holmes: Practice his most powerful affirmations and change your life. On audio CD for the first time. 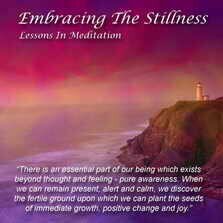 New CD: Embracing The Stillness - Lessons In Meditation - Learn a variety of new meditation techniques and practice them in an hour long guided meditation. Free Photos: Visit our huge collection of free pictures of saints, sages and wise ones of all religions, along with images of sacred and holy sites around the world. 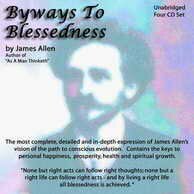 CD - Byways To Blessedness by James Allen: The full exposition of the philosophy first expressed in As A Man Thinketh. Now is the time to discover our most popular daily affirmation newsletter combined with our newest daily inspirational email newsletter. Have a new affirmation and new guidance and inspiration emailed directly to you each morning. A perfect way to begin a productive and positive day! Click Here for details. Free 2 Week Trial Subscription Now Available! Buy any of our selected products at the usual price and buy another at 1/2 price. Click Here to see our great selection of best sellers and favorites. The Conscious Word is our affirmation newsletter emailed to you each morning. For full details and an example page, click Here. Free 2 Week Trial Subscription Now Available! Conscious Wisdom is our inspirational quotation newsletter emailed to you each morning. For full details and an example page, click Here. Free 2 Week Trial Subscription Now Available!